To use the new member type, Jane navigates back to the Food type, clicks on Edit on the menu bar, and adds the new member type (somecompany.jane.FoodPreparation) to the member type list. 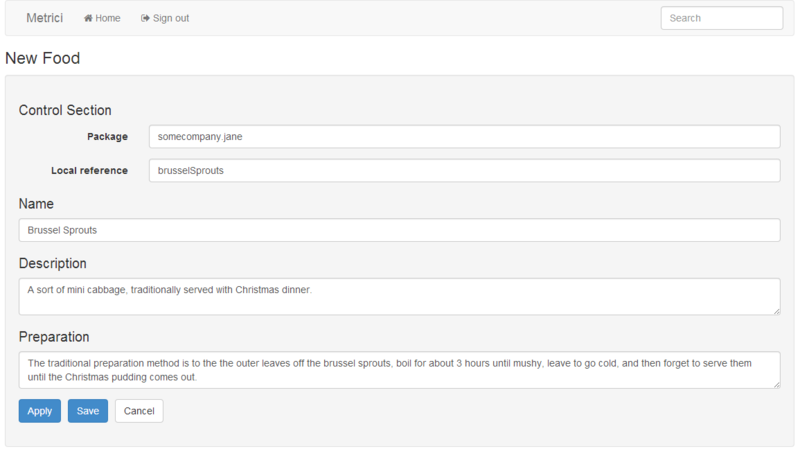 After clicking Save, she clicks on More and then uses the New Food link on the menu panel to create a new food record, fills in details about brussel sprouts, and clicks on Save. The details of the brussel sprouts are shown.